Little Jackie Lena: 1998 AQHA Sorrel by Smart LIttle Uno (NCHA earnings of $105,000 including the NCHA Superstakes Open Championship) out of our foundation mare Litten Lena (see above). She has NCHA earnings of $5,700 including finalist in the Southern Open Futurity, Winter Tomato Blowout,LAE and Florida CHA Winter Circuit. Her get includes NRR Jack the Cat (LTE over $49,000) by our stallion Black Catamount Rey , and a 2006 Sorrel gelding (Dual Stranger) by Dual Pep that has won $14,000 including Augusta Futurity youth champion and finalist in West Texas Futurity and Black Hills Stock Show Derby Champion and Classic finalist. 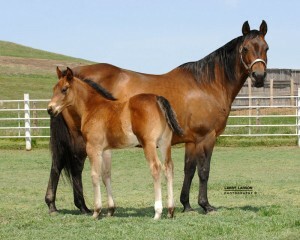 NRR Dual Contessa by Dual Pep is in our broodmare band (see below). Little Jackie Lena has a High Brow Cat filly that is just beginning training. San Jo Solano: 1992 Bay mare by San Jo Lena (NCHA earnings of $136,000 including AQHA World Champion Senior Cutting Horse; NCHA Open Classic Champion and a Top Twenty Leading NCHA Sire) out of Solano Heart (winner of $2500 and by Docs Solano). She has NCHA earnings of over $22,000 and was the Southern 3yr old Open Futurity Champion and finalist in the El Cid 3yr old open futurity, Abilene Western 3yr old Open Futurity finalist, finalist in the NCHA Amateur Classic/Challenge, finalist in Abilene Spectacular 4 yr old Open Derby, and finalist in Abilene 5yr old $50,000 Amateur. Boons Holi Day, 2005 Red Roan by Duals Blue Boon out of our mare Stylish Holi. (see details above-NCHA earnings of $32,000) Both her granddams are legendary producers of Champions: Royal Blue Boon is the NCHA’s all-time greatest producing mare with LTE of $197,000, foals earning over $ 2.6 million including the great stallion Peptoboonsmal, Autumn Boon (LTE $ 259,000), Peek a Boon (LTE $81,000), Bet Yer Blue Boons, and Red White and Boon ($LTE 928,000) that in turn have produced such great horses as Im Counting Checks, Royal Fletch and Bets CD among others, Her materal granddam is Stylish Quixote, producer of the great stallion Docs Stylish Oak. Dual Sioux San, a 2005 bay mare by TR Dual Rey (NCHA earnings of $353,000). She is out of our mare San Jo Solano (NCHA earnings of $22,000) by San Jo Lena. See details above. Unshown; Her first foals are in training. 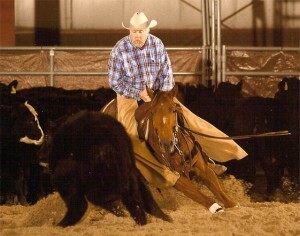 Starlights Chex, a 2006 Sorrel mare by Instant Choice, NCHA $90,000 (please see Stalliion page)). She has won over $50,000, primarily in Open Limited Age Events including Big Sky Derby finalist, Black Hills Stock Show Derby Reserve Champion, Iowa Derby Finalist, Nebraska Derby Co-Champion, Royal Flush Derby Co-Champion, NCHA Weekend Derby Champion, North Ridge July 4 Holiday Show Derby Champion, WSCHA Memorial Day Derby Champion, Utah Derby Finalist, Black Hills Stock Show, Open Champion and Classic Open Finalist, WSHA July 4 Series Open Champion and $10K NH finalist, WSCHA Torrington 10K NH reserve Champion, State of Missouri Classic Open finalist, Nebraska LAE Classic Open finalist, MN Fall Festival LAE Open Champion and 10K Reserve Champion, Jacks Are Wild LAE Classic Open Champion, Last Chance to Dance LAE Open and 10K NH Reserve Champion . Her first foal is by High Brow Cat. Scootn Kittyote, 2006 buckskin mare by Smart Little Scoot out of Smokin Kittyote Rio. 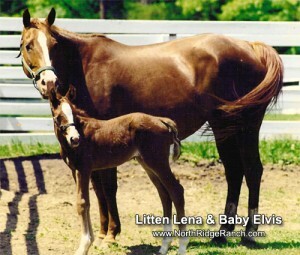 Unshown: her first foal is by Black Catamount Rey and is in training. Dualeys Miss Charles, 2011 sorrel mare by Its Just About Me (‘Charles”) out of the Dual Pep mare Dees Dually, She is unshown. Cats Kittyote , 2007 Sorrel mare by High Brow Cat and out of the Smokin Jose mare Smokin Kittyote Rio She was a Big Sky Open Futurity finalist in her first and only show and was thereafter retired due to a trailer accident. NRR Holy Cat, 2008 black mare by High Brow Cat out of Uno Del Rey (see above). She is a full sister to NRR Cat King Cole and Cats High Noon (NCHA $140,000). Although she is a NCHA money earner she was retired as a three year old due to the stangles epidemic that hit the cutting world and forced cancellation of most shows that year.